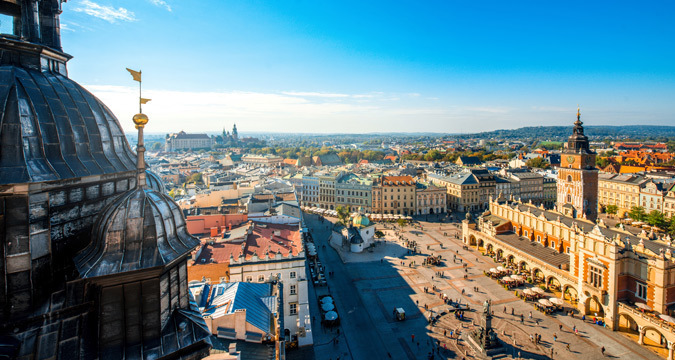 Craig Tansley discovers Krakow is Europe’s best new luxury travel hot-spot (just don’t tell your buddies)…. In a few short months, Prague and Paris will be cramped with tourists desperate for the perfect European summer holiday. Selfie sticks will be thrust around, Chinese tourists with matching backpacks will be following guides with flags in every direction. But here, in Krakow, on a late spring evening, there are just enough travellers around for me to catch the buzz of spring and summer in Europe, but there’s still a feeling I’m an explorer discovering a part of Europe none of my friends know a thing about. I’m right now surrounded by the walls of a 500 year-old building in a new-age bar. It’s as much hipster as historic, but these days a lot of Krakow’s like that. I walk out onto an ancient, cobbled, pedestrian-only street inside Europe’s largest medieval square. At this hour there are few tourists around, and the towering buildings are lit up like Christmas; and look for all the world like Vienna’s far better known First District. It has the same buildings, the same feel that history hasn’t left this place, and as I sit here staring I can see the centuries disappear, till I’m a time traveller, peering into a long gone era. Despite it being the first city on Earth to receive World Heritage listing by UNESCO for its historical significance, Krakow still manages to feel like a real town, with real people, doing real jobs. Better yet, its Old Town, even in the middle of this late spring day, has relatively few tourists. In the Old Town, Polish men in bleached white coats sell obwarzanki (Poland’s answer to croissants) from stands on every corner, merchants sell fresh flowers in the market square just as they’ve done for centuries, and students smoke cigarettes and sun themselves in the green belt of parks that surround the Old Town, beside one of the oldest universities on Earth, Jagiellonian University. So a summer visit to Krakow is like Rome without the exorbitant hotel prices and Paris with affordable wine and gourmet food. Abercrombie & Kent has been organising tours to Poland for over a decade, but it has taken until now for interest to spike. Krakow is home to some of Europe’s most historically interesting four and five-star hotels, the best of which is Hotel Copernicus - you’ll find it on Krakow’s oldest street, Kanonicza. I stay in a master suite with a restored 15th century fresco, where Prince Charles and George W Bush stayed before me, and swim in a pool located deep within a medieval cellar. Even at the city’s five-star Sheraton, I sleep in a corner suite overlooking the Vistula River. In the evenings, I take the best seat at the hotel’s rooftop bar overlooking the 13th century Wawel Castle where centuries of Polish kings ruled the country’s former capital. Bells at the castle toll on the hour, mixing with the jazz guitarists entertaining the slow strollers, the brisk joggers and the kayakers watching the sun set across the Vistula. 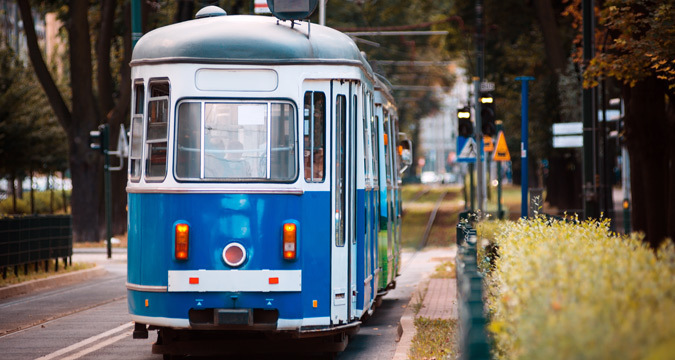 There are also plenty of attractions outside the city which you’ll see on a tour with Abercrombie & Kent – the Wielickza salt mine (the world’s oldest dating back to the 13th century), Poland’s number one tourist attraction, is just 20 minutes away. Many also come here to visit Auschwitz, an hour southwest of the city. But then, you might also be content spending your entire time in Krakow – it’s a city with plenty to see. In 2000 it was named the European Capital of Culture: its Old Town is home to jazz bars, bookshops, fashion stores (I think locals here dress better than in Paris), libraries and Kabaret clubs (Poland’s favourite form of entertainment), while there are more bars per capita here than any city in Europe. 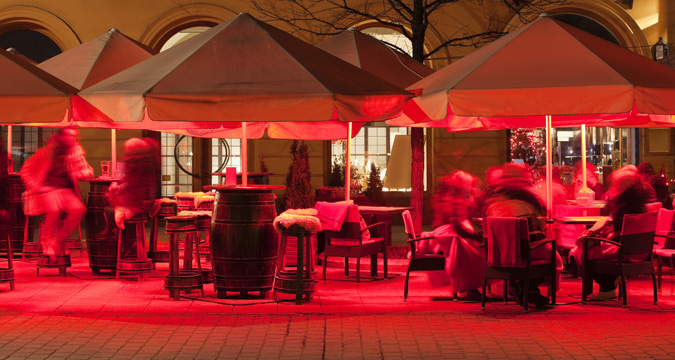 Perhaps it’s because jazz music was outlawed under Communism that Krakow now literally bursts with song – each park around the Old Town plays host to a busker with a guitar and every restaurant, café and bar plays their own version of Polish jazz. Abandoned warehouse blocks and factories now house trendy outdoor cafés, art galleries and antique shops. And its culinary offerings will keep you feeling content for days. 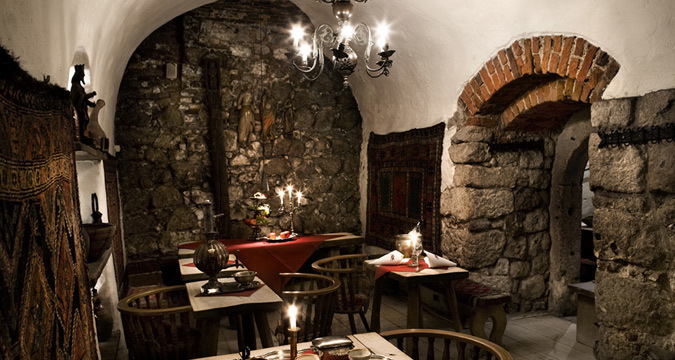 My favourite restaurant is in a former goldsmith’s workshop (from the 1200s) called Pod Aniolami. But what I like best is that for all its sophistication Krakow can still feel a little rough around the edges. It means you don’t have to deal with any pretence, and what a relief that is. Even the best restaurants don’t require a booking far in advance (though check first to avoid disappointment) and bar staff seem particularly fond of conversations with tourists seeking inside knowledge (certainly not always the case in popular cities throughout western Europe). Sure, in the years to come touts might come into the Old Town, and workers may leave the city centre as travellers take the place over, and prices will surely rise when operators understand that we’ll pay them. But right now Krakow is that historic European city we all want to see, and for now you don’t have to share it with the rest of the world on summer break.